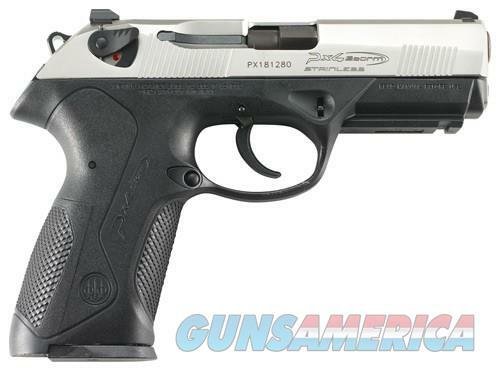 One of the most popular carry pistol on the market today, they Beretta PX4 Compact 9mmInox Polymer. Manufacturer Beretta Via Pietro Beretta, 18 25063 Gardone Val Trompia Brescia, Italy +39.030.8341.1 www.beretta.com Manufacturer Part Number JXC9F51 AMBIDEXTROUS SAFETY Y BARREL LENGTH IN INCHES 3.2000 CALIBER 9MM LUGER DRILLED AND TAPPED N FINISH STAINLESS SLIDE/BLACK FRAME FRAME MATERIAL POLYMER GRIP MATERIAL POLYMER MAGAZINE CAPACITY 15.0000 NUMBER OF MAGAZINES INCLUDED 2.0000 TYPE ACTION FUNCTION SEMI-AUTO TYPE OF SIGHTS 3-DOT FIXED WEIGHT IN OUNCES 27.3000 NO SALE TO HAWAII NO SALE TO MASSACHUSETTS Before you bid make sure you can legally own a firearm and understand your state and local laws. Do not bid on this item if you cannot own it. Any return is subject to a 20% restocking fee. Payment and FFL are due within 7 days or we reserve the right to resell the item and will post you as a non-paying bidder. We accept Bank Certified Checks, USPS Money Orders, Visa and MasterCard. This listing is the Cash price. Please add 3% for credit card purchases. 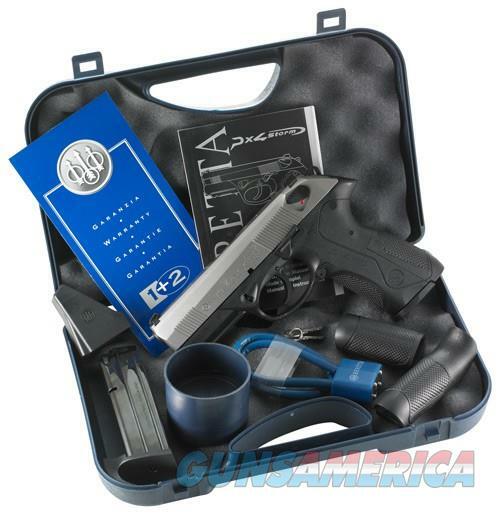 Shipping and handling fee $30.00 for handguns. Any questions you can call Don at Two Rock Technologies LLC. You can also email Don . 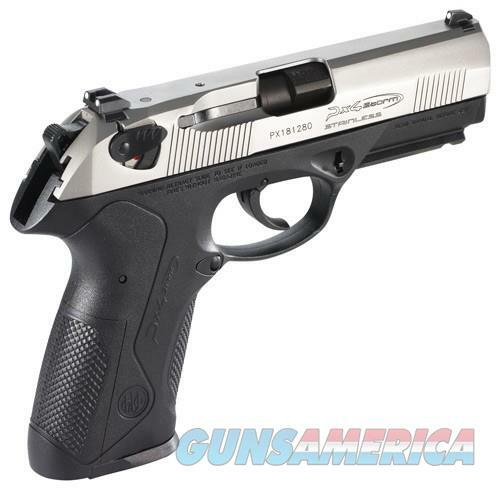 Please view all our offerings on GunsAmerica. We are a Service Disabled Veteran Owned Small Business (SDVOSB).